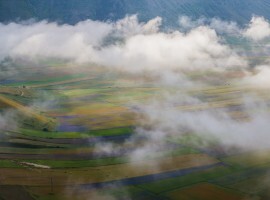 Citizens and the farmers of Castelluccio di Norcia have tried to save their village: they have, in part, succeeded. Even this year, the lucky tourists could admire the incredible flourishing of lentils. It all seemed lost after the October 30th earthquake. The roads were impractical, sowing seemed impossible. 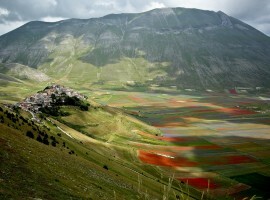 But the village did not give up, and the famous Flowering of Castelluccio di Norcia was back also this year. So the production of lentils is saved as well as the magic landscape of its flowering which attracted 250,000 tourists each year. The village is still almost completely destroyed, but who goes from there, now that one of the streets has been reopened, can see among the rubble and the immense drama a force stronger than anything else, that of the people that are trying their best to restore a village of about a hundred inhabitants but of great historical and symbolic value. It is thanks to them, but also to the help of soldiers and farmers all over Italy, that the plain of Castelluccio di Norcia has given a landscape of truly indescribable colors, with tones ranging from yellow to red, with nuances of violet and blue. 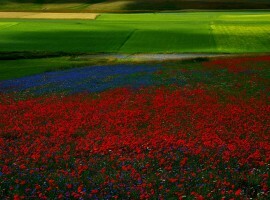 A truly enchanting natural spectacle that lasts several weeks, and this year we hope it is also the symbol of the regrowth of the entire village of Castelluccio di Norcia, but also of the rest of the Italian territories affected by the earthquake. 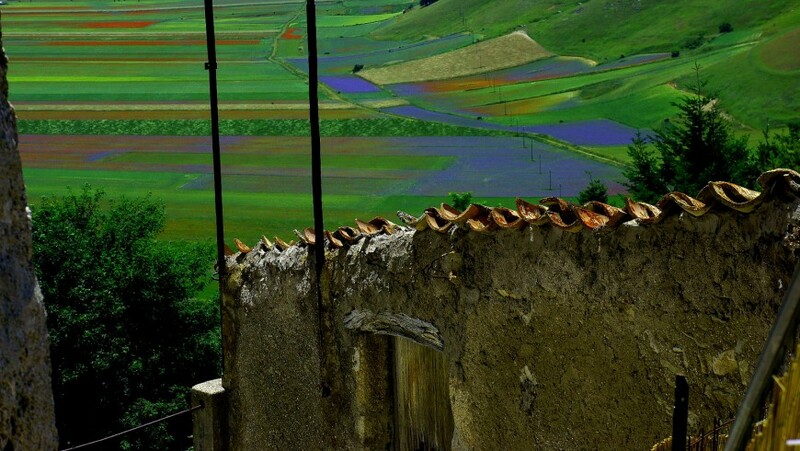 This entry was posted in curiosity and tagged Castelluccio di Norcia, earthquake, Italy, Umbria. Bookmark the permalink.